Glad Midsommar! And happy summer solstice! 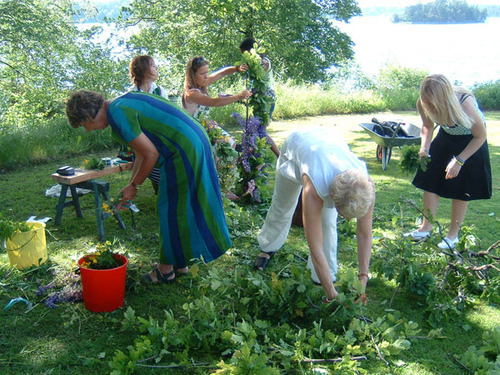 I just came across these photos from a Midsommar (back when I was 18) spent in Värmland, Sweden with a dear friend and her (very extensive) extended family. I think I remember counting around 115 people, all cousins with summer houses close together. How great is that? 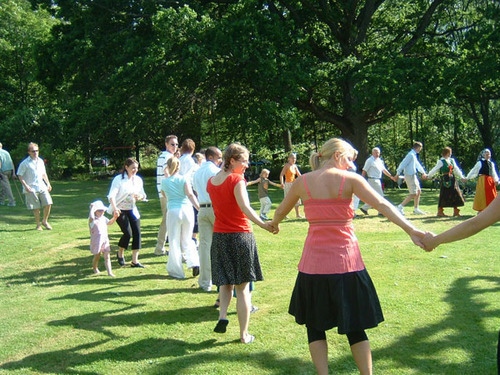 There is in fact a Midsommar festival here in Maine this weekend, in New Sweden. We had hoped to head up there for it… but given that it’s over a 5 hour drive… and we don’t have a car… it’s a little complicated. So instead, I’ll share these photos. 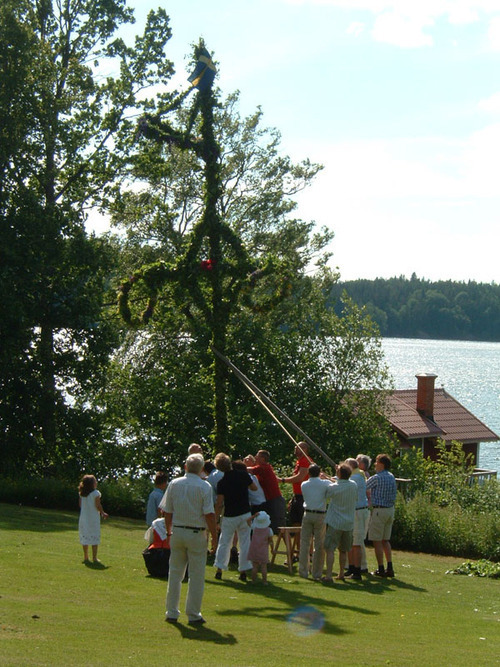 Above, the men raising the midsommarstången. 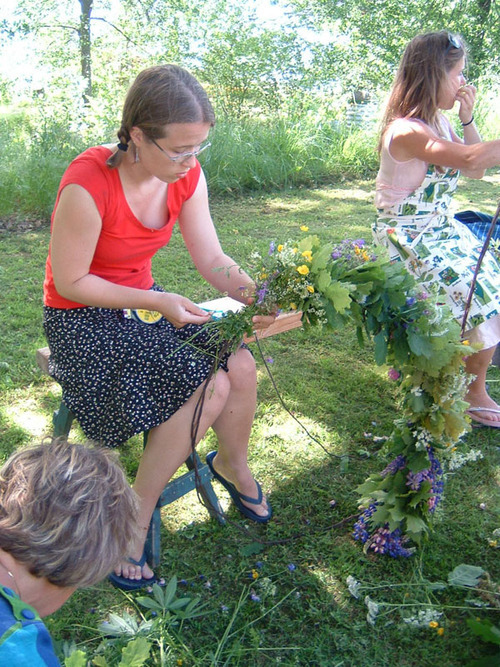 Below, us women folk weaving leaves and flowers into wreaths. Little me and my wreath. Dancing around the maypole. And then I vaguely recall a large feast in a barn with lots of singing snapsvisor (drinking songs)… and, you guessed it, lots of snaps.